2. 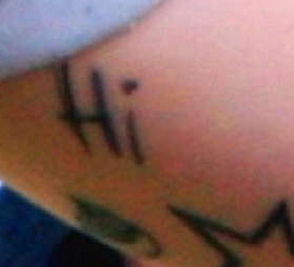 Hi above the star on his left upper arm. 3. 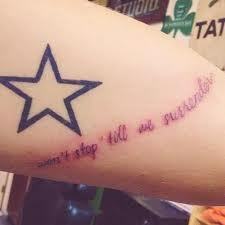 Won’t stop till we surrender under the star on his left upper arm. 4. 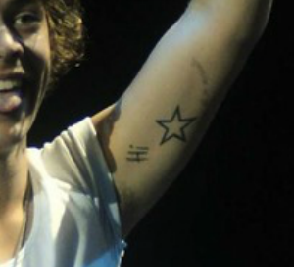 An iced gem under the Hi and next to the star on his left upper arm. 5. 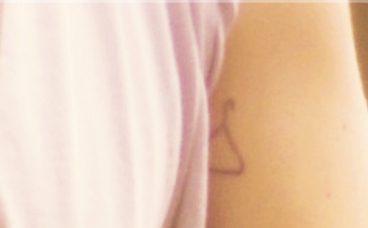 A coat hanger on his upper left arm. 6. 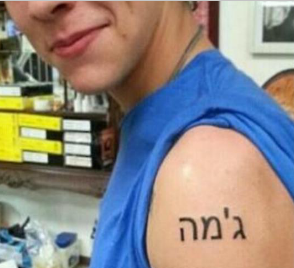 Gemma in hebrew on his left shoulder/upper left arm. 7. 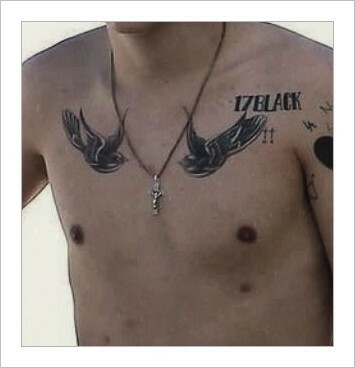 17BLACK under his collar bone, near his arm socket. 8. 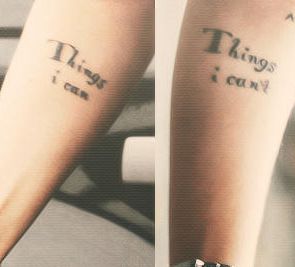 I can’t change on the top side of his left wrist. 9. 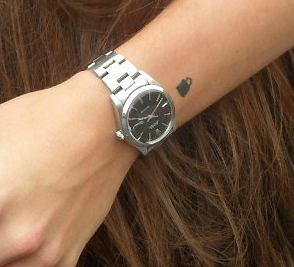 A black lock above his left wrist bone. 11. 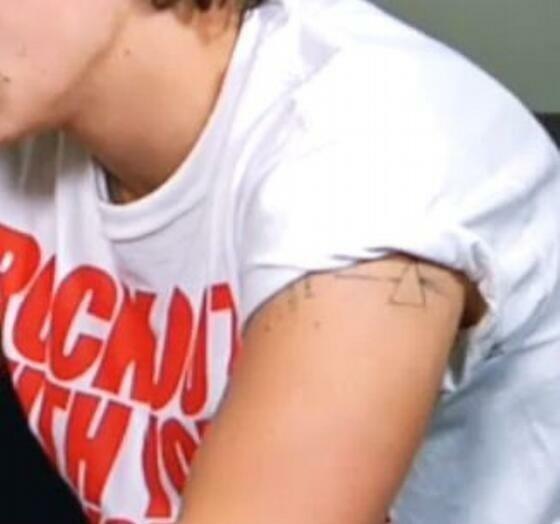 An A in the crook of his left elbow. 12. 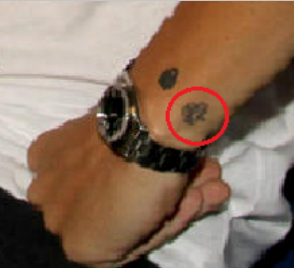 Shamrock/ three or four leafed clover near his left wrist. 14. Tragedy and Comedy masks on his left side under birdcage. 17. 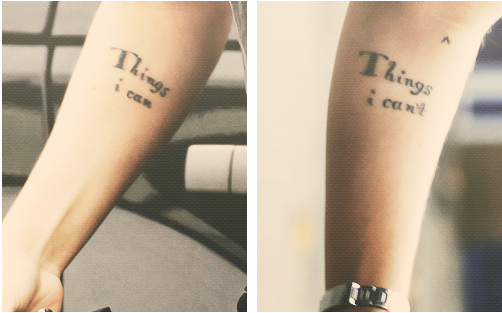 ‘Things I can’ on his inner right forearm. 19. 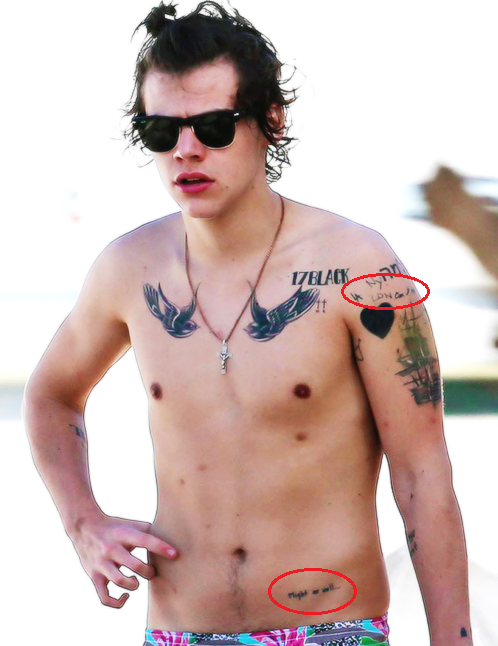 A screw (that look a bit like a cross) on his ankle. 35. Two little crosses with M and K underneath them. 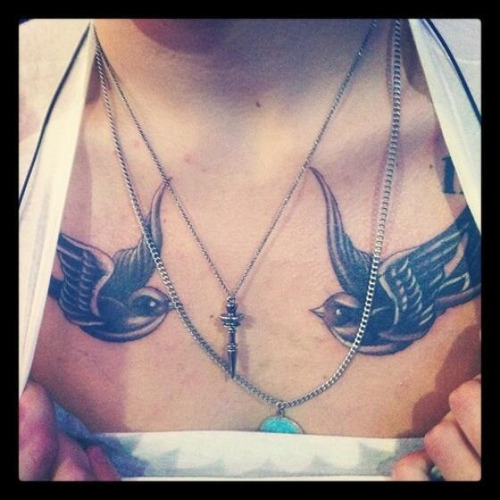 Positioned below the swallows on his collarbones. 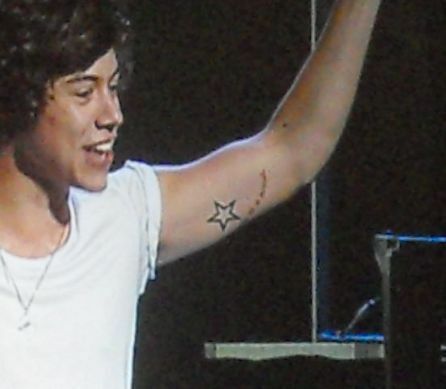 Harry’s first ever tattoo was a star on his armpit. It is there to represent each of the five boys of One Direction. 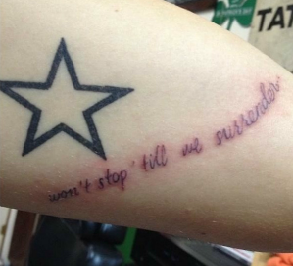 His second tattoo is located below his star and says ‘Won’t Stop ’till We Surrender…’ meaning that the boys will not break up until they all give up however it was done badly and is beginning to fade. 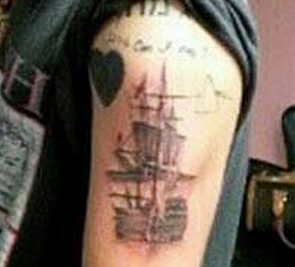 His third tattoo is on the inside of his elbow and it’s the letter ‘A’ representing his mum, Anne Cox. 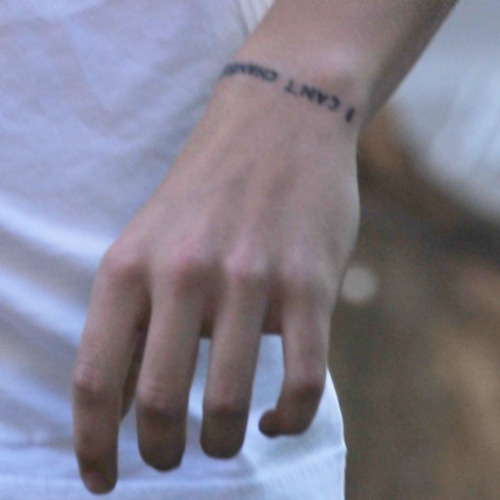 The tattoo on the outside of his wrist says ‘I can’t change’ and it had been there for a while, however Harry decided to hide it with all of his bracelets. 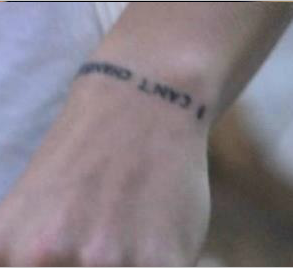 It says that he will not change because of the fame. Fans had been rumouring that it’s about him being in a gay relationship with bandmate Louis Tomlinson however, it means that he will always be that lad from Holmes Chapel. 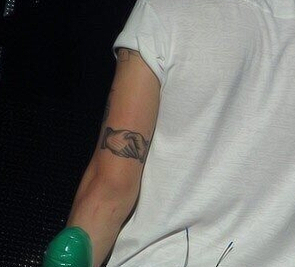 His other tattoo says ‘Hi’ and is right next to his star. 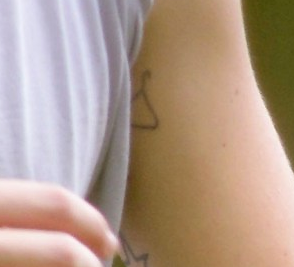 The coat hanger tattoo is right next to the ‘Hi’ tattoo and apparently means that if there’s no clothes on the hanger, no clothes on his body because he likes being naked. 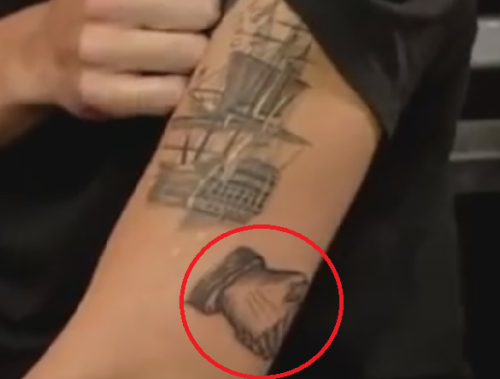 The padlock tattoo was done by Ed Sheeran. The iced gem tattoo is dedicated to his sister, Gemma, who used to go by a nickname of ‘Iced Gem’ when she was little. 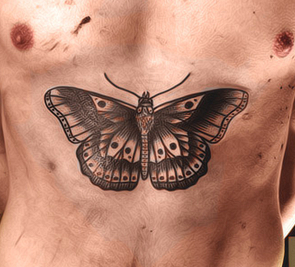 Another tattoo of his is on the top of his arm, just going onto his chest. Unfortunately, it has not been revealed on what it is. 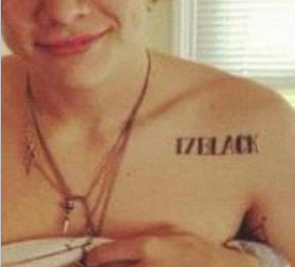 One of his newer tattoos say 17Black. 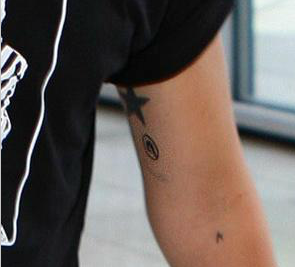 Recently, Harry also decided to fill in his star tattoo. 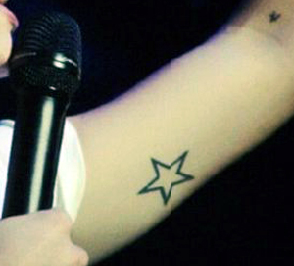 Right next to his star is a symbol which is for now unknown. 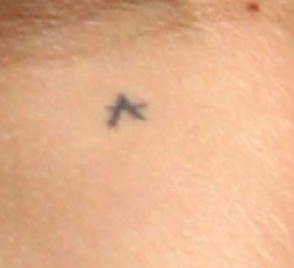 In one of the interviews, Ed Sheeran revealed that Harry has the word ‘Pingu’ tattooed on his rib-cage to mach his own. 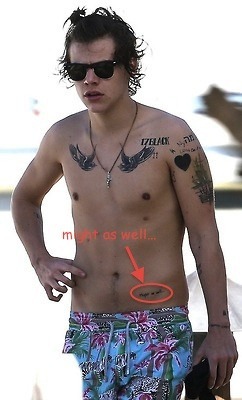 He has also got a tattoo right next to his padlock. 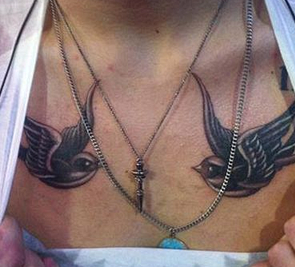 The bird nest tattoo is on his left rib and was first revealed in the Live While We’re Young music video. 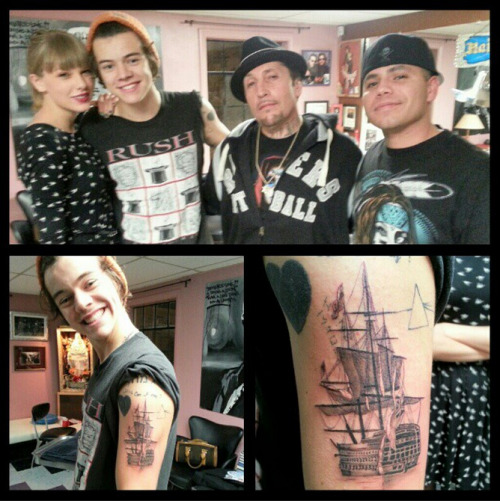 One more tattoo on his body is for his sister Gemma. 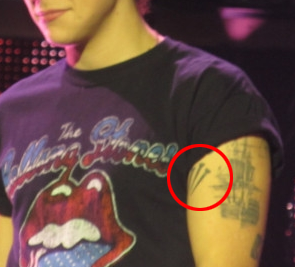 It’s in Hebrew and it literally means Gemma. 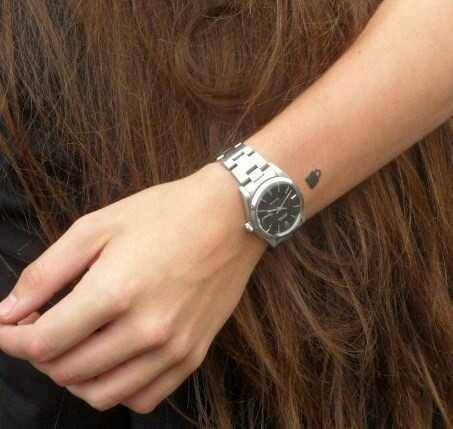 I thought he had a tattoo of a heart? But I really love him anyway. Because we were meant to be!! !